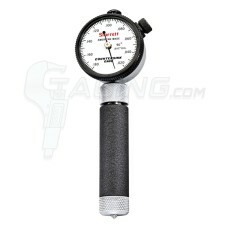 Countersink Gages are used to measure the major (top) diameter of a countersink bore. 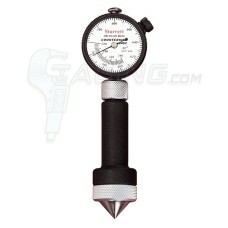 They are direct reading gages and the cones are machined to match the angle of the countersink to be measured. Each countersink gauge comes with a setting master. Starrett Countersink Gages are made in the USA. 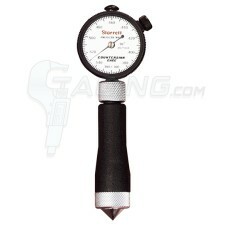 Gaging.com carries all Starrett countersink gages at discount prices. 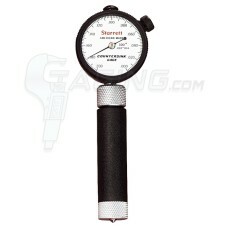 Starrett Countersink Gages are offered in three different angles so that the gage sets on the angu..
Not actual product image Starrett Countersink Gages are offered in three different angles so tha..
Not actual product image Starrett Countersink Gages 688-2Z 90°are offered in three different ang..
Not actual product image Starrett Countersink Gages 689-2Z 100° are offered in three different an..
Not actual product image Starrett Countersink Gages are offered in three different angles so that..